If we accept that rock ’n’ roll is in large part a celebration of the moment—be here now, carpe diem, and all that—and that the moment (indeed, the universe) is forever changing, expanding, and evolving, it follows that the biggest challenge facing so-called heritage acts is to at least create the illusion that they’re still moving forward, without alienating longtime fans yearning for more of the same ol’. 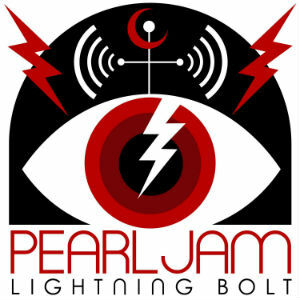 In this regard, Paul McCartney and Pearl Jam are in the same boat. And though they take different approaches toward embracing the new on their latest releases, they wind up in the same place: just different enough to sound a little awkward and forced, but just nostalgic enough to border on irrelevancy. McCartney is slightly more successful. For his 16th solo album New, the first to consist entirely of fresh originals since Memory Almost Full (2007), the 71-year-old legend makes like a young rapper and hires a rotating roster of hip, hot producers: Mark Ronson (Amy Winehouse, Lily Allen, Bruno Mars), Ethan Johns (Kings of Leon, Ryan Adams), Paul Epworth (Florence and the Machine, Adele), and, as executive overseer, his old pal George Martin’s son Giles, the man who brought us Cirque du Soleil’s gaudy Beatlesfest Love. 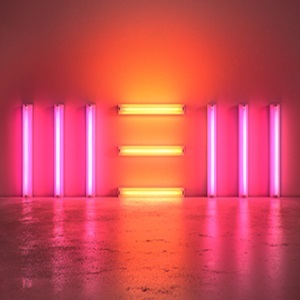 These sonic craftsmen hardly do anything radical—rare is the sound that couldn’t have come out of Abbey Road in the mid-’60s—but Macca’s problem has never been sonic. His records always sound good, they just don’t have much to say anymore, either in terms of new melodies as powerful as those from the past, or in lyrics that don’t seem like an afterthought. The latter come in two varieties: tossed-off and bordering on nonsensical—witness “Appreciate,” which keeps repeating that word as if it somehow will become profound, and “Alligator,” with its dopey central couplets of, “I want someone who can save me/When I come home with a zoo/I need somebody who’s a sweet communicator/I can give my alligator to”—or sickly sweet nostalgic, which is no surprise from the man who gave us “When I’m 64.” Here we get Paul ruminating on his pre-fame days on a delivery truck in “On My Way to Work” and once again reconsidering those fab years with John in “Early Days,” among other postcards from the past. The deepest our old mate gets is, “Hey everybody out there… Never for the grace of God go you and I.” Um, okay. Words to live by, found as toilet-stall graffiti. Yes, I will grant the faithful that McCartney deserves to do whatever he wants at this point, even if it’s to recycle melodies while spouting inanities. And sure, to some extent it’s a pleasure just to hear him still crooning away. But he’s the one forever making the case that he’s as vital an artist as the one who made Revolver, and this fan of that Paul prefers when he’s taking chances as bold as those on the best rock album ever, whether that means dabbling in EDM as the Fireman, getting freaky with Super Furry Animals on Liverpool Sound Collage (2000), or tearing it up on ’50s rockers a la Run Devil Run (1999), where he really did sound ageless, as well as very present in the here and now. For all of that, the complaint is a cliché only because it’s true: The band never has given us another triple-threat assault as powerful in melody, energy, and ideas as “Jeremy,” “Evenflow,” and “Alive.” Nor has it come up with any truly inspired twists on its formula. Backspacer was a conscious throwback to the adrenaline-laced early days, though nowhere near as essential. And album number 10 isn’t even that satisfying, since only half its tracks (“Getaway,” “Mind Your Manners,” and the title cut among them) have much of a pulse at all. The rest of this set finds Pearl Jam experimenting with slower and more expansive settings (which they’ve also done before, though not with a ukulele). The pre-release interviews spoke of a Pink Floyd influence seeping in, but that’s only if you reduce the vast arsenal of the Floyd’s sonic innovations to a little more air in the mix. “Swallowed Whole” is an attempt at mid-period R.E.M. jangle; “Sirens” is a bombastic U2 ballad; “Future Days” is a syrupy Elton John ballad; “Yellow Moon” is a combination of all three approaches, hence three times as awful, and so on. This is to say Lightning Bolt easily could be reduced to an EP. At half its bulk, it would merely be generic instead of boring and flatulent. But that hardly is anything to brag about. Rating on the four-star scale: 2.5 stars. Rating on the four-star scale: 2 stars.